French jeweler Mauboussin has launched Le Secret d’Arielle, a new fragrance in collaboration with French-American singer Arielle Dombasle. Notes for the floral musk include white flowers, pink pepper, iris, tuberose, rose, amber and white musk. 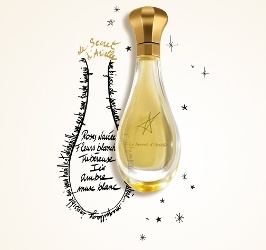 Mauboussin Le Secret d’Arielle is €240 for 15 ml Extrait de Parfum. That bottle is slaying me (the box is also spectacular) and I kind of love that it’s only available in extrait, which seems like an afterthought in perfumery these days. Time to make extrait front and centre again!